Construction continues on the new Mcallen fire station No.2 on the corner of Main Street and Harvey Avenue on Monday, July 16, 2018, in McAllen. 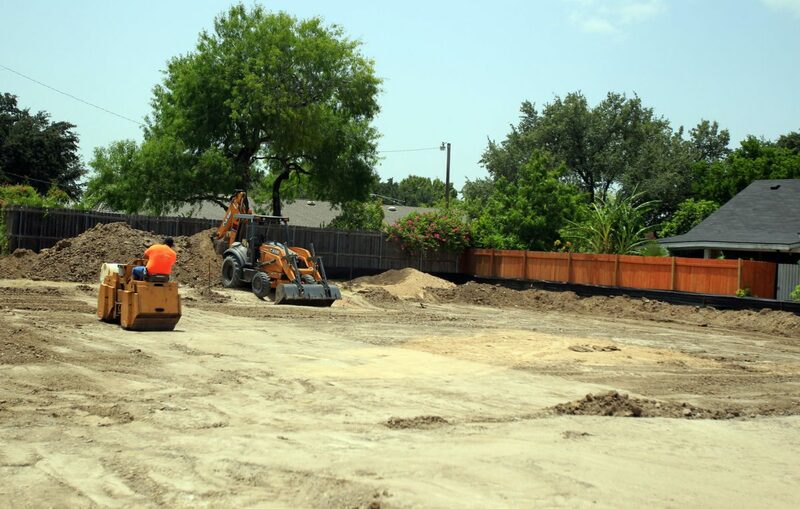 McALLEN — Construction on a new $1.4 million fire station began last week and is expected to be completed around the beginning of 2019. The new Fire Station No. 2 will replace the old building that was torn down earlier this year after 50 years in operation. While the fire chief and other city officials said a new fire station was needed, community members were hesitant about the collateral damage of a new building. The construction contract for the project is for six months. A popular community garden has sat next to this fire station at the intersection of North Main Street and Harvey Avenue for more than 10 years. Over that time, the garden has grown 54 different types of vegetables, according to John Goolsby, president of the garden. The city, according to its plans for the new facility, tried to minimize impact on the garden. Gardeners said at a December 2017 meeting that the new building would harm the garden. “Another issue that was brought up was the couple of large, beautiful trees that we were going to take out. We’ve realigned the entrance from Harvey in order for that not to happen,” Rodriguez responded at that meeting. “In order to take less of the green space, we’ve reduced the entry of that driveway from some 24 feet to 14. There was a concern from one of the neighbors about the height of the building, and how much it would be seen from their backyard; we’re reducing that elevation by 8 feet. Goolsby said he and other gardeners appreciated the city’s modifications, and that they understand there’s a need for a new fire station.